... anyone can get me this doubt, where can I change miles per km/h? how is it marked there in the picture? No, it works only with the original game, not with GPXPatch ! Sure, Turbo Lover. In fact it's very strange. I'm french and one my first concern is the system metric. So I asked the same question here [www.grandprixgames.org] and Tommy40F1 answed me this solution. But in fact, with me, it works with the digital fonts. But when I run with classic fonts, it's strange but it works no more. 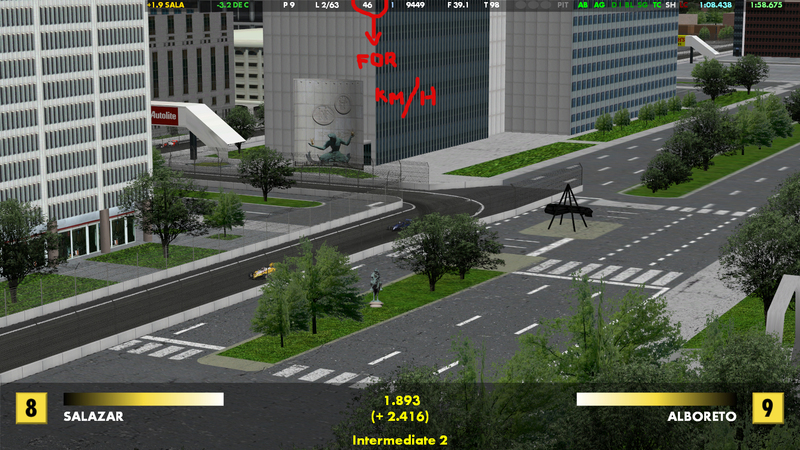 As you see in the screen below, digital is in km and classic in mph (see the 2 red rectangles). But with the original game, it works perfectly. I began the 1980 champ with the 1980 mod about two months ago. I just finished today. I didn't know that when we save the game, GP4 save ALL the parameters. 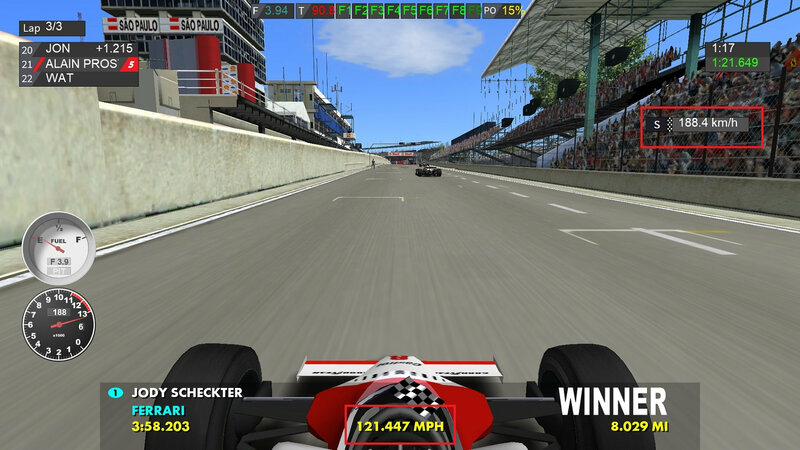 So, when I selected "metric system" after the beginning of the champ, it was usefull beause at each new race the game loaded my first finished races with the parameters of the beginning (do you know what I mean in spite of my bad english ?). Today, I notice by running a "non-championship race" that I have at least the metric system. I've selected now "metric system" in all my mods. IT WORKS ! We don't care but it's important for me. That's all folks for today ! Edited 1 time(s). Last edit at 04/11/2019 08:30PM by viking75. > parameters. So, when I selected "metric system"
> metric system. I've selected now "metric system"
> important for me. That's all folks for today !